CRIME SCENE COMBO COURSE - 2 IN 1! The Bloodstain Pattern Documentation course has been approved for 20 hours of certification/re-certification training credit by the IAI Crime Scene Certification Board. The Shooting Incident Documentation course has been approved for 20 hours of certification/re-certification training credit by the IAI Crime Scene Certification Board. 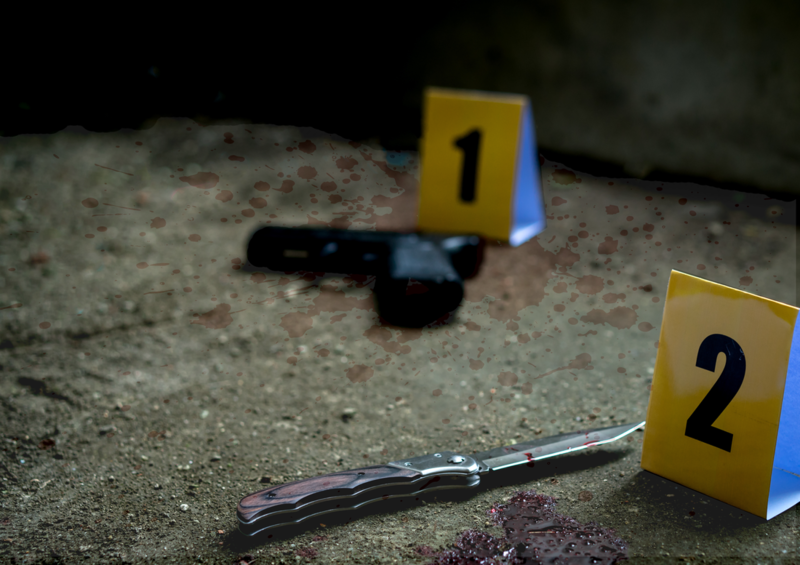 The 5-day (40 hour) Advanced Crime Scene Documentation course combines the full course contents of both the Bloodstain Pattern Documentation course and the Shooting Incident Documentation course into one. This course is designed for the student who wants to learn how to correctly recognize, document, and collect bloodstains and bloodstain patterns for later analysis by a bloodstain pattern analyst. Students will be taught terminology, pattern recognition, and documentation methods that will ensure the possibility that the patterns can be reconstructed and analyzed at a later date. Classroom presentations are supplemented with practical exercises and hands-on activities. Detectives and forensic investigators are frequently summoned to scenes of violence involving firearms. These incidents, including homicides and officer-involved shootings, should be investigated to their logical conclusion. That requires an understanding of the firearms related evidence at the scene and how to properly document it. This course teaches the student how to properly interpret physical evidence and to document the scene through note taking, diagramming, and photography. Use of rods, lasers, and protractors will be covered, as will the use of mathematics in determining bullet flight paths. This is designed as an introduction to the 40-hour Shooting Incident Reconstruction course or as a standalone course for those students more concerned with documenting scenes as opposed to reconstructing them.